Revolution Gear and Axle D70HD Master Overhaul Kits come with all the necessary parts to ensure your differential job is a success. 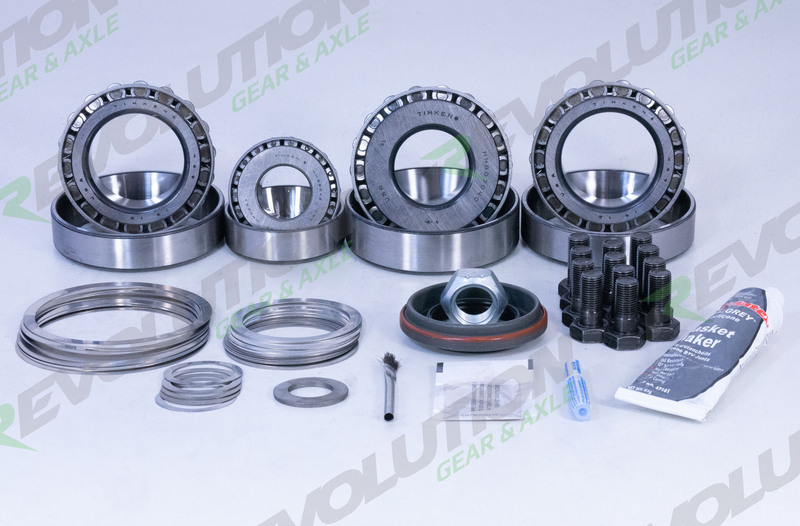 Revolution Master Overhaul Kits come with top quality Koyo Bearings and National seals. Our Kits also include: Pinion seal, Pinion Shims, Carrier Shims, Pinion Nut, Gasket or Sealant, Preload Shims or Crush Sleeve, Ring Gear Bolts, Gear Marking Compound and Loctite.